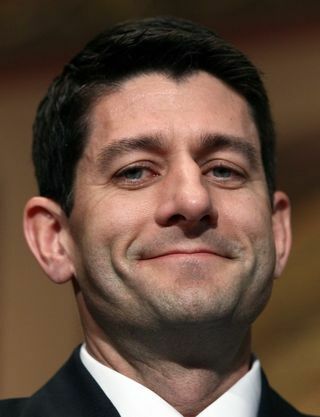 Speaker Paul Ryan (R-WI). So proud of himself. Raises taxes on middle-income filers in the end. The modest cuts in the first year or so phase out and by the time we approach the end of the ten-year window, some of us in the middle are actually paying higher rates than we are paying right now under current law. And it’s done in order to fund the permanent tax cuts designed to comfort the already-comfortable. Gives Donald J Trump and his family an enormous tax cut. He won’t show us his tax returns, but everyone who has looked at the details understands that the provisions of the bill are very kind to people whose businesses are structured like his. He’s filling his pockets at our expense and straight-up lying about it. Trump may be about to get a big tax cut. Here’s why we still don’t know how big. Was done in such a hurry and so sloppily that no one knows what all crazy things are going to crawl out of it over time. Does not simplify the tax code as they promised, but actually adds loopholes to benefit … guess who. The GOP Didn’t Reform the Tax Code. They Never Wanted To. By knowingly adding about $1 trillion to the debt, sets the stage for yet another reprise of their signature move: Cutting safety net programs on the grounds that we can’t afford them, because … the deficit! Is anyone surprised at this result? I guess I’m surprised they’re being quite this brazen. But we knew who they were and what they were about when we put them in power. One can only hope that enough of us are now paying attention that they will have to pay a price for their behavior.